the games truly mean for those on the journey of disability. This May for the seventh year in a row I will share a week with over 135 veterans living life a bit differently than when they started their service. 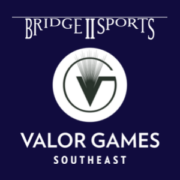 Valor Games Southeast is near and dear to my heart as it was my design by structure and detail. 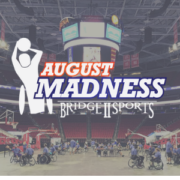 This three-day event hosts 11 adapted sports competitions and camaraderie and community filled ceremonies and meals together. 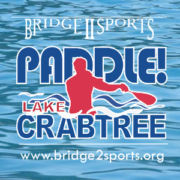 VGSE takes 11 months to plan, many sponsors, nearly 500 volunteers, 10 accessible buses, and incredible venues including UNC Dean Smith Center, Duke Cameron Stadium, and Lake Crabtree County Park. What do I mean by that? Disability has an effect. Like all things, it can be positive or negative, often resulting in the response we take as individuals, and the response taken by those within our circles: family, friends, community, society. The clarity of disability is that often it is not hidden, body parts are missing or not working due to amputation or use of a mobility device, eyes do not track due to blindness and visual impairments, reactions are over the top or disconnected due to TBI/PTSD. We encounter all of these things at Valor Games Southeast and yet, we join together through the unifying power of sport to play. Disability has a unique journey. It starts with finding Courage again. The acceptance of disability; the new challenges it brings must be acknowledged and faced to move forward. This acceptance is bombarded with the recovery of trauma; often strong medications; mourning the loss of something once controlled; peppered with emotions of loved ones; and the fear of ‘How will I?’ A tremendous amount of courage is called upon to face acceptance and the battle to become functioning with it. Courage is called on again and again over the first steps of this journey. For me, I needed ‘alone time’ to go through the process of mourning, but I also needed ‘people time’ to help me keep the courage to forge though finding Hope again. Courage impacts Hope. If we see possibilities to gain a position, our hearts are inspired to keep moving. This hope fuels us to move beyond the brokenness, to try. As a community we can be part of the journey being mindful of what we do. Is there a wheelchair accessible bathroom? Instead of staring, can we say hello with a smile? When someone’s answer is not so kind, can we respond with kindness? All of these help fuel Hope again. Once Hope is found through the journey of disability, Strength grows. Skills needed to live with disability are discovered, refined, and become “normal”. Fear lessens as strength grows, giving way to push past the pain and awkwardness of disability. 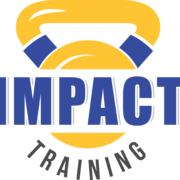 Building a foundation of strength allowing one to see past the limit, engaging with others. As the voice is found after disability, it too speaks with Strength, rallying others to courage and hope. As Strength is gained and defined, Life is restored. Life is give and take, engaging our community both as members, supporters, volunteers. Life allows family and friends to access our ability to give and receive help, support, and love. 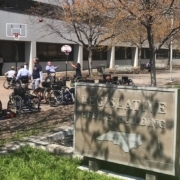 Reintegration within our communities as interconnected individuals with disability empowers healthy living, something that we all need regardless of ability. Life again! The impact of seeing those with disabilities conquer the obvious physical challenges, that are peppered with so many other challenges is inspiring to many who ‘have it all’. 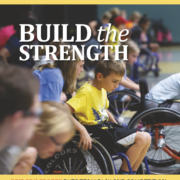 Valor Games Southeast empowers all involved to be part of the journey of disability: Courage Again, Hope Again, Strength Again, Life Again! The impact of the power of brokenness!